I was in the local library a few weeks ago, and I was astounded by the amount of books about guitar and music. Now combine that with many libraries having a CD/DVD collection available for check out, and you have a powerful resource of music and knowledge. There’s also well over 100 method books, sheet music collections and books about guitar. That’s an amazing amount of stuff for a public library. University libraries are an even better source of music and guitar books and sheet music. Most libraries have an extensive collection of sheet music. Of course this isn’t limited to guitar music, so if you’ve got the urge to arrange something, a local library may have the score. Sometimes other music makes great sight reading material as well. Collections of clarinet music work surprisingly well for sight reading as the clarinet and guitar share almost the same range on paper. 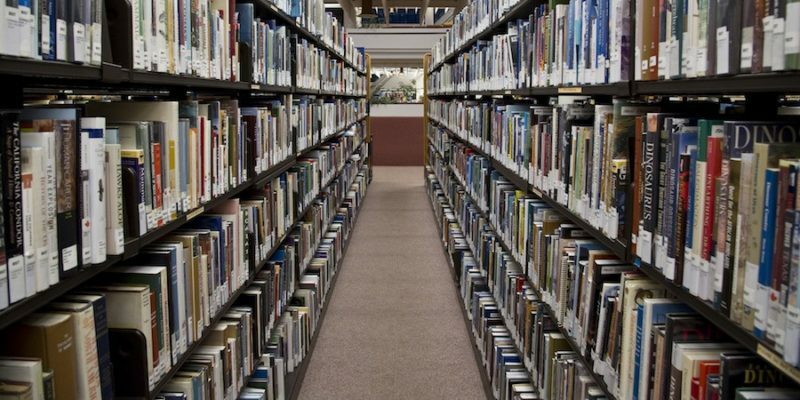 Most libraries will also have large collections of books about music. This includes composer biographies, books by composers, harmony texts, theory texts, method books. Many of the books about guitar I read in undergrad (including Charles Duncan’s Art of Classical Guitar Playing and the Shearer method books) were from my university’s library. There’s also the opportunity to look at more expensive and rare books. Check your local college’s library policies. Mine allows community members (not affiliated with the university in any way) to get a so called courtesy card. Which gives people a three week check out and up to three items at a time. Don’t overlook the library! It’s a great resource! Have you ever made a cool guitar-related find at the library?